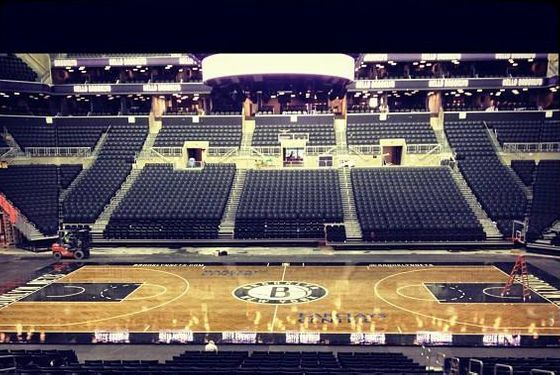 Over the weekend, the above photo circulated around the Internets, giving Nets fans their first real, non-computer-generated look at the interior of their new home. With the seats in place, the Jumbotron danglin', the baskets up, and the court laid down, the place almost looks ready for a basketball game. 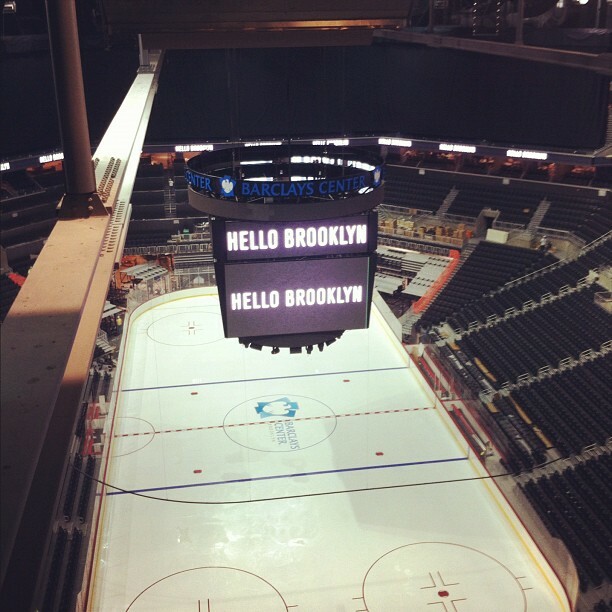 Via Nets Daily, we've also got images of the arena dressed up for hockey (the Islanders and Devils, remember, will play a preseason game at Barclays in October, and there'll be KHL action there early next year). Shiny!